I'm talking about the 1 serving ice creams, not the big tubs. The stuff you can pop down to your servo on a hot day and pay $6 for! How a sugary icy pole manages to still be tart is beyond me. I'm not saying I hate it, but on a 45 degree day faced with the choice of a Frosty Fruits or a hot mug of black coffee, I'd take the coffee. Only higher than Frosty Fruits because it's not quite as tart. If you have sensitive teeth these things can be used successfully in torture. Big leap in quality from 30 to 29. We're into the edible portion of the list (just). 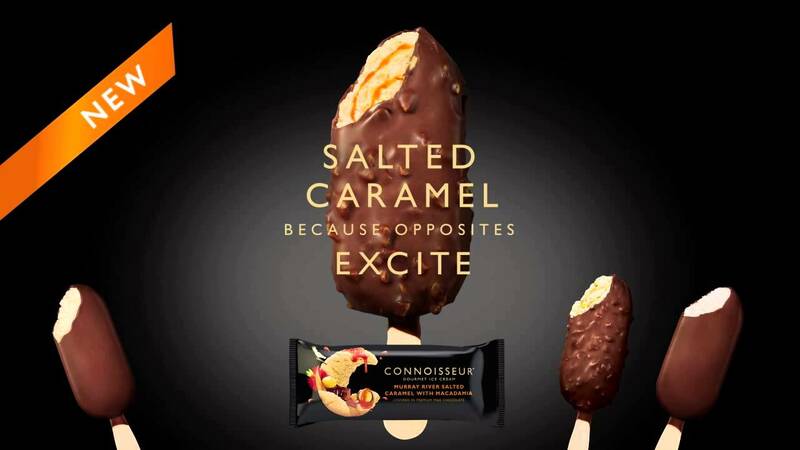 Points have been awarded for the packaging, which allows you to drink your part-melted Calippo. They're best enjoyed on a summer day, lest you break your teeth if you try to bit into it. Points lost from your friendship group if anyone makes fun of you eating it. I have to give a reason other than "I don't like them". The packaging can cut your lip, they resemble a condom, and they taste like the ice you scrape out of your beer fridge. Sorry, but not really. 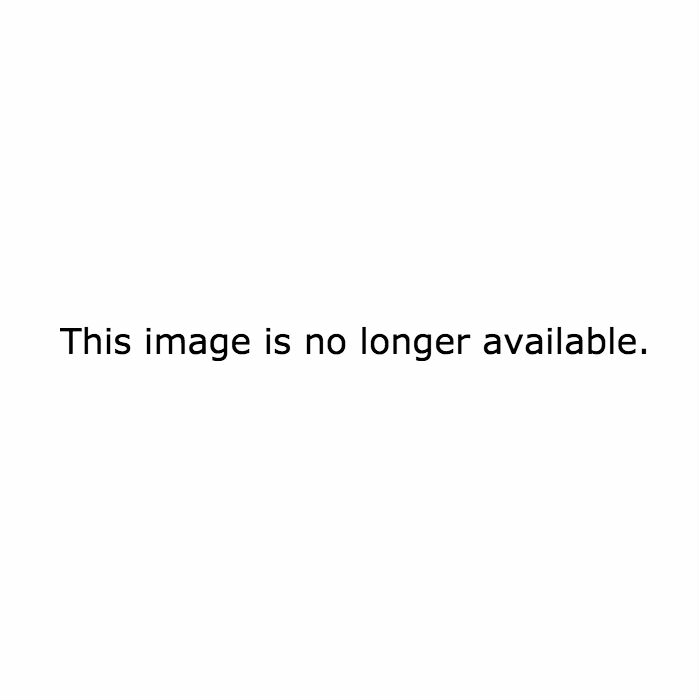 I know it makes me un-Australian. So much better than the Lifesavers version. It's actual ice cream, and it's soft and full of flavour. It's still flawed, and I haven't met anyone who prefers a Cyclone over anything else above it on this list. Just because something is iconic doesn't mean it's good. Look at Crocodile Dundee, or Ugg Boots. It was discontinued in 2016, but judging from the way these things remained frozen even on 40 degree days, it'll be some time before they disappear completely, since it takes the average human 6 weeks and three chipped teeth to complete one. Sorry Sunnyboy fans, it's overrated. Home go door to door, in the surprisingly dangerous truck (careful you don't bang your head), trying to convince parents to give in to their screaming children. The bell has become iconic in the streets of Sydney, but honestly, once you turn 8 your palate is already too distinguished to enjoy anything in the Home range. The Milk Bars get a pass, and the Choc Coated with the sprinkles, but it's a middling outlet that trades on price and convenience, not flavour. I love a good mango Weis. It's ultra refreshing. Mum is allergic to mango, it makes her break out in spots around her mouth, but she still demolishes a mango Weis, and I don't blame her! This is a highly impractical ice cream. Do you pop the chewing gum in your mouth right away, and keep it at the back while you devour the ice cream? Or do you eat around it, trying to get as far as possible without it dropping to the ground? Do you grab it and hold it till you're finished, with your hands now covered in ice cream? Or do you just throw it out? Stupid right? But we keep buying it... For the record, I eat around the bubblegum then pop it in my mouth and keep it to the side while I finish the ice cream. If anyone has any other techniques please let me know! The creamy texture earns it a pass. Generic ice cream chocolate combo. Not as good as a Wedge or Heart. It takes too long for it to be soft enough to truly enjoy. I'd recommend leaving it till it's liquid and drinking it. Or you could just drink regular Milo. A relic from another time, but still delicious. Bit ridiculous they only give you that silly little bit of plastic, how are you meant to eat with that? It's like serving your ice cream at a restaurant with a knife and no spoon. Ice block AND ice cream? Well I guess Gin and Diet Coke shouldn't pair, but I certainly made it work at Christmas. Could probably be tied with the Splice. While the Splice uses a better ice block to ice cream ratio (more ice cream, less ice block), the Split has too much ice block, but the ice cream is delicious and incredibly creamy. As you can see, Buzzfeed already settled this. Plus why are you naming your creamy ice cream after stagnant flood water?! How does this get so high? For centuries the human race has known that encasing ice cream in hard chocolate is a winner. But everyone goes about it in a different way. 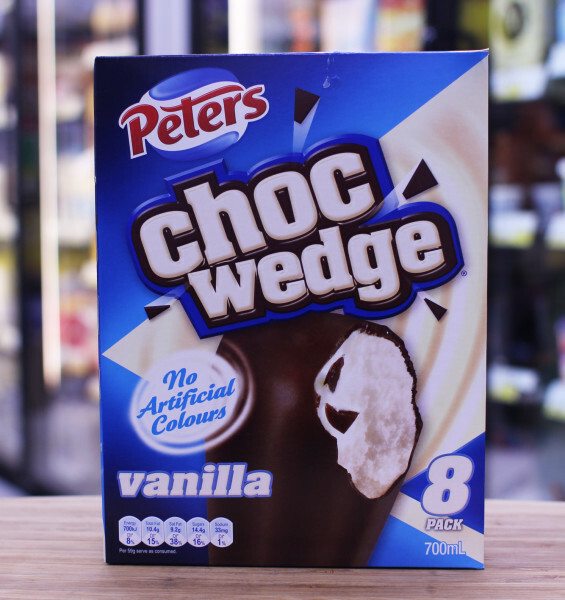 The Choc Wedge prizes the satisfying "snap", resulting in a slightly thinner coating. It's delicious, and the texture is incredible. Turning a chocolate bar into an ice cream is inspired, and it deserves recognition. They just don't quite live up to the hype, and other than the M&M's ice cream cookie and the Crunchie, they aren't as good as their chocolate bar counterparts. Anything is better than a Crunchie chocolate bar though tbh. May as well Hava Heart, who gon' stop me, huh? Everyone loves a roughie, and the Bulla Crunch fits that bill. As I said earlier, getting the choc-to-ice cream ratio right is essential, but you can elevate above the rest with a delicious interior. It's like my Kia Cerato. Looks fantastic on the outside with the chrome pack and custom Korean rims, and the interior is just as good, with the steering wheel cover my mum made me for Christmas and the red towel I sit on to provide some colour contrast. Not just a pretty face. I've been putting it off as long as I can, but let's address this. Yes, Paddle Pop's are good. They're cheap and delicious, and famous for being the one ice cream where chocolate is probably the worst flavour (it's all relative, chocolate is still amazing). But when you see what ice creams are to come, you'll understand why I placed it so low. If it were just the Banana Paddle Pop it'd be top 2. Or the amazing Mud Puddle, pictured. Ah the Drumstick. 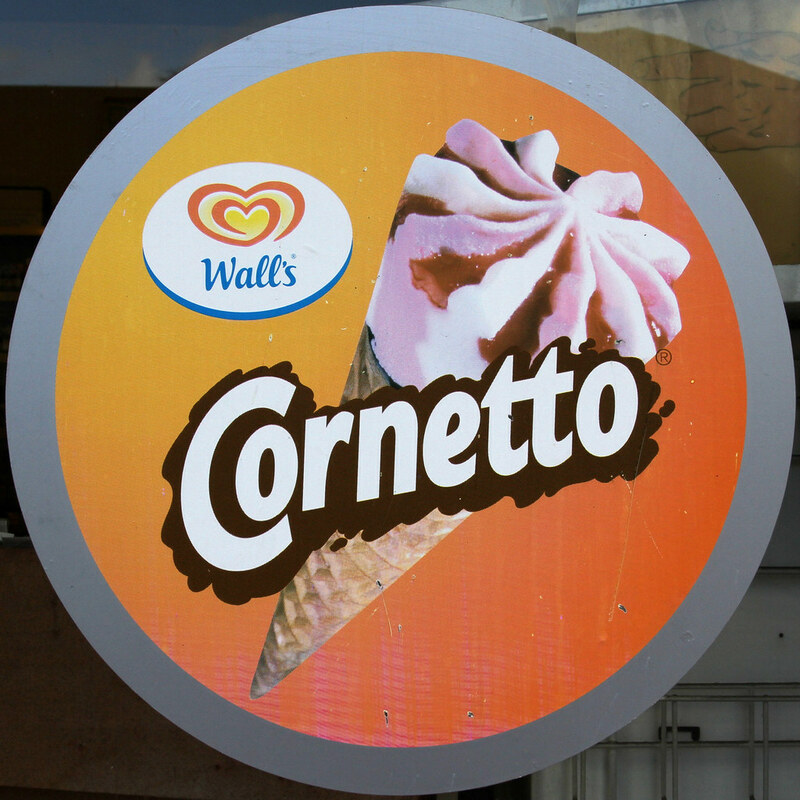 The Stuart MacGill of ice cream: when the GOAT (Cornetto) isn't available, you grab a Drumstick. They have some killer flavours now too: Jammy Custard Donut, Choc Malted Mega Shake, and a Boysenberry that really hits the spot. Need a cookie dough flavour. Basically the same product. 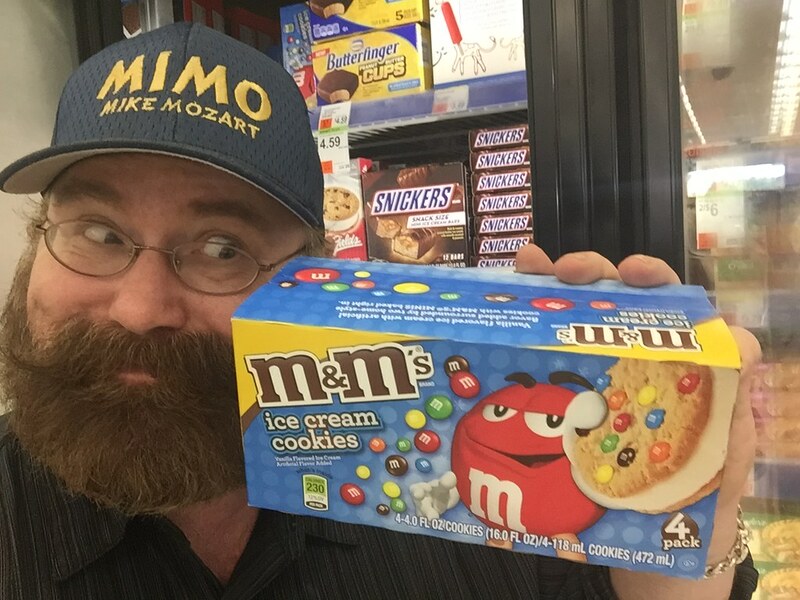 Both delicious, although the Monaco Bar is a little more restrained, with less ice cream in the middle. We forget just how good the Bulla range is. Ice cream isn't as high quality as a Magnum, or even the creamy Hava Heart, but they've draped it in the kind of adornments found at the Sizzler dessert station, which is a recipe for unbridled success. The Custard Tart flavour is to die for. It's become trendy again as the Surry Hills crowd have dictated a renaissance of epic proportions. 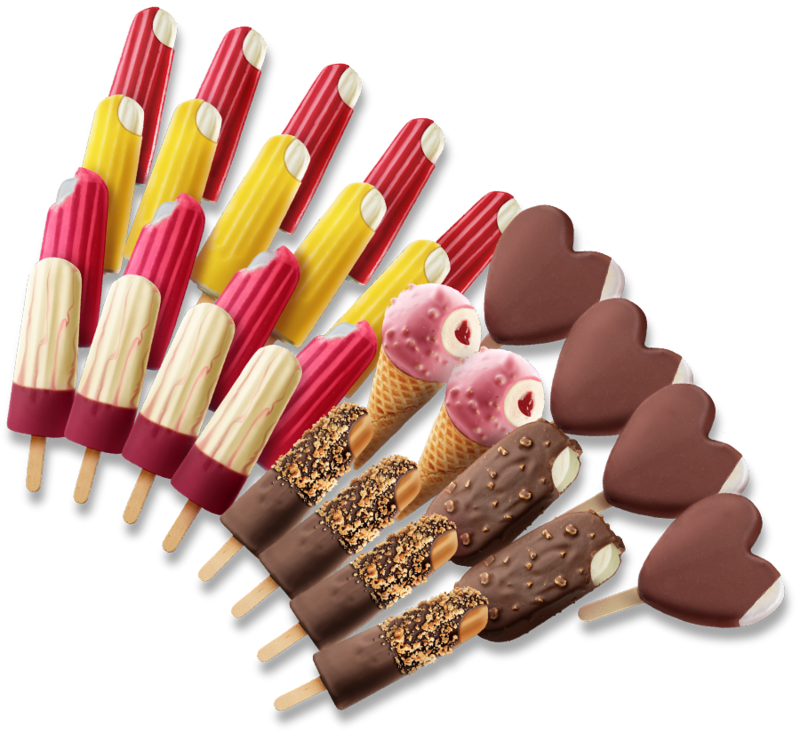 Think gluten free cakes, pop up shops, the Golden Gaytime Cornetto, and new flavours. None of this diminishes the ice cream itself. Even my grandma likes them, and she's 91! The Magnum (not to be confused with wine bottles or condoms for people with wine bottle shaped appendages) was always a premium treat growing up. 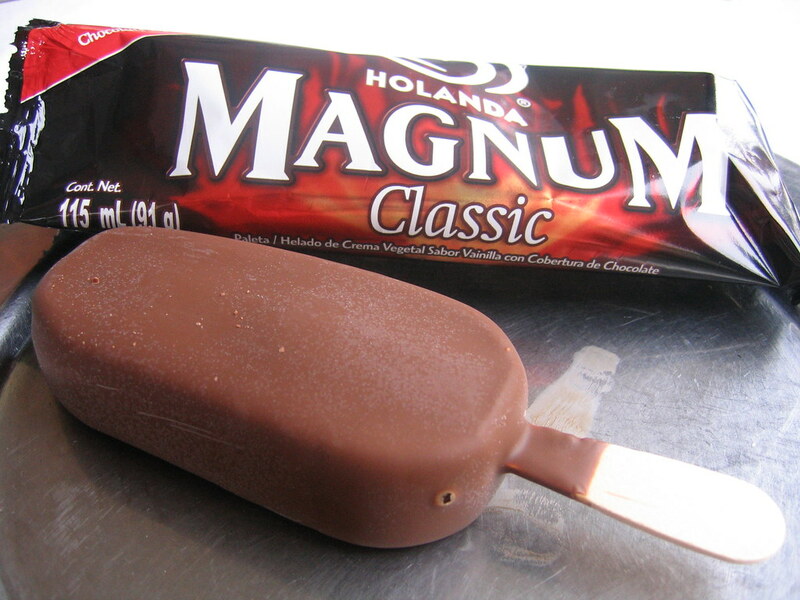 You'd savour every last bite, and as an adult, I am not ashamed to say I ate Magnums instead of meals during a rough spot during my late teens. Although they have diluted the brand with a myriad of collaborations and weird flavours, it remains a quality offering. Remember the 7 Deadly Sins campaign? Classic. Remember the Ego, that had a layer of ice cream, a layer of chocolate, a layer of gooey caramel, and another layer of chocolate? They still exist, so I suggest you go buy one. Find these at your local supermarket at an irrational price. This is probably because of the ingredients: Himalayan salted chocolate, Belgian chocolate, Montana Mountain Mint, Sicilian blood orange... No wonder they don't sell these in any Coles or Woolworth's west of Museum Station (sorry Surry Hills, you're paying way too much rent for your suburb ranking). I doubt I could tell the difference between Himalayan salt and Murray salt, but to be honest these ice creams are absolutely to die for, they are decadent and addictive, so maybe bussing in mint from Montana Mountain is a good idea after all. Points deducted for any idiot who eat the choc-filled bottom of the cone first. Don't shake their hand on a hot day. What more could you possibly want from your ice cream? Biscuit good, nuts good, ice cream good, chocolate GOOD!! Devour away.